Recycle Your Sloggers. 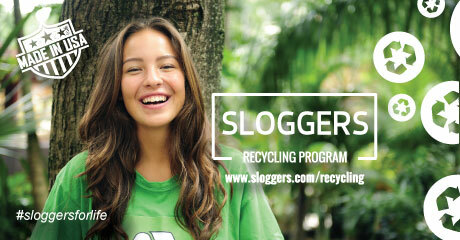 We’ll Reuse your Sloggers, and we’ll pay you to do it! Sloggers® Made in the USA Waterproof Shoes and Boots have announced our “Commitment to Sustainability” Program launched in January of 2015. In addition to utilizing Best Manufacturing Practices (BMP’s) with regards to the environment, our goal here at the factory is to reduce our solid waste stream by maximizing the amount of recycled material we put back into our shoes. Currently, we can add up to 50% of mixed recycled material into the soles of our boots and shoes. Once we receive your Sloggers, we will email you a coupon code for $5.00 to be used at our online store plus Free Shipping! If you have any questions, please shoot an email to webstore@sloggers.com and our customer service crew will get back with you in a jiffy!